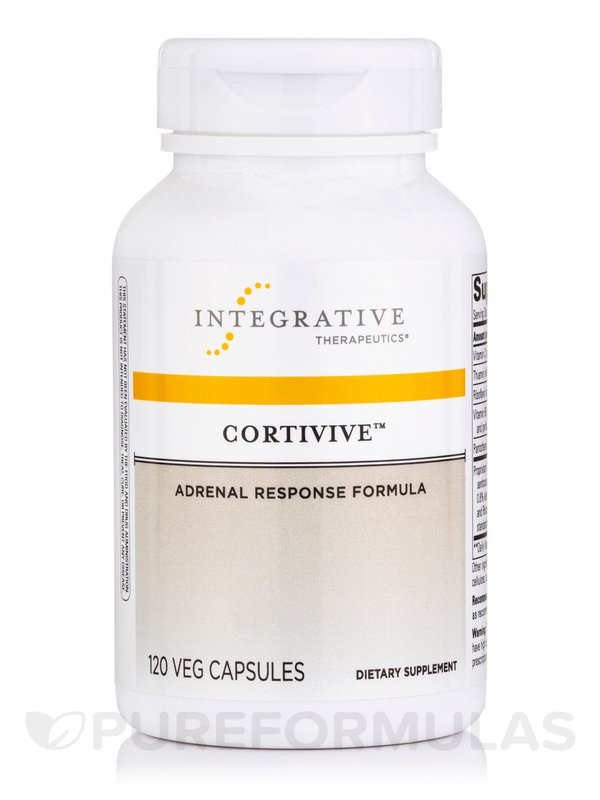 A healthy adrenal response can help foster a healthier body response. Your adrenal glands‚ which are found above your kidneys and are small and triangular in size‚ have a host of functions‚ some of them relating to stress and hormones. When searching to support your adrenal glands‚ however‚ you want to make sure you have the power you need available. 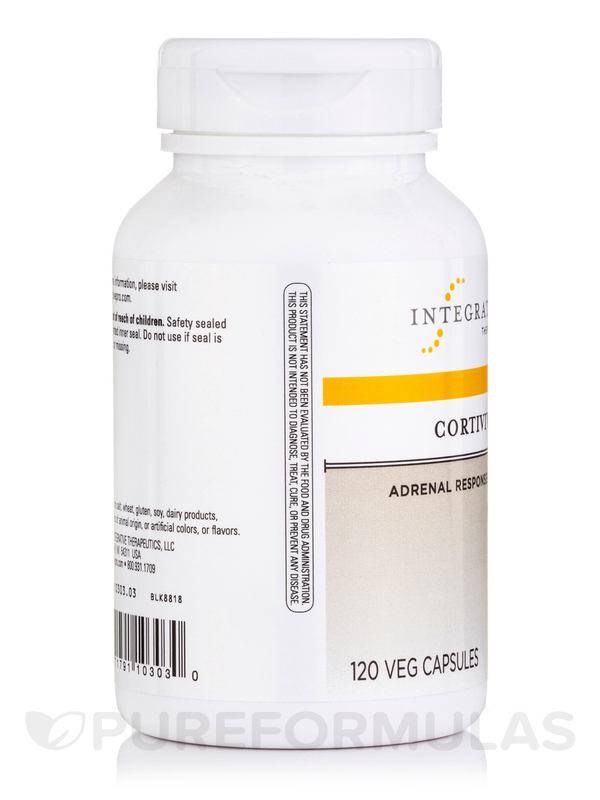 CortiVive™ has been formulated specifically for the needs of the adrenal glands of the body. It aims to help with healthy cortisol production in the body. Cortisol is also known as the body's stress hormone‚ which is activated when the body is triggered into a stressful state. 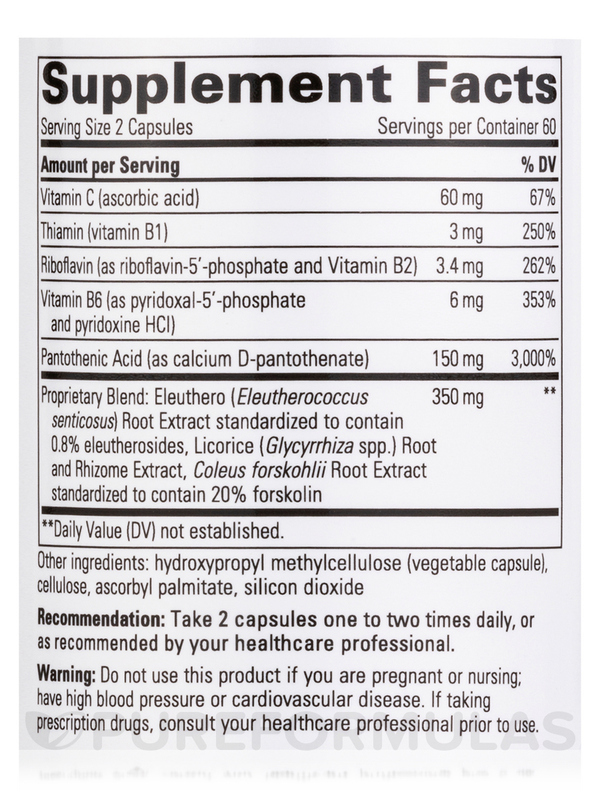 Ingredients such as eleuthero root‚ coleus forskohlii‚ and licorice provide herbal vegetarian alternatives to wellness. 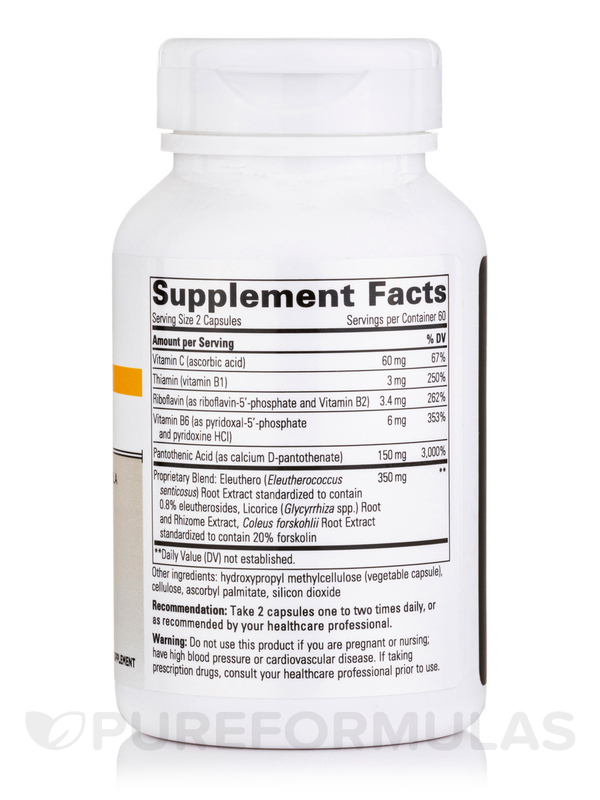 Their vitamin contents work to provide relief to the glands and general body function. As the vitamins are depleted by stress that could come up‚ these nutrients become a much more important factor to overall adrenal function. CortiVive™ comes gluten free‚ dairy free‚ wheat free‚ and soy free. PureFormulas provides all Integrative Therapeutics products with free shipping. It is that easy. Other Ingredients: vegetable capsule (modified cellulose)‚ cellulose‚ ascorbyl palmitate‚ and silicon dioxide. Contains no sugar‚ salt‚ yeast‚ wheat‚ gluten‚ soy‚ dairy products‚ artificial coloring‚ artificial flavoring‚ preservatives‚ or ingredients of animal origin. 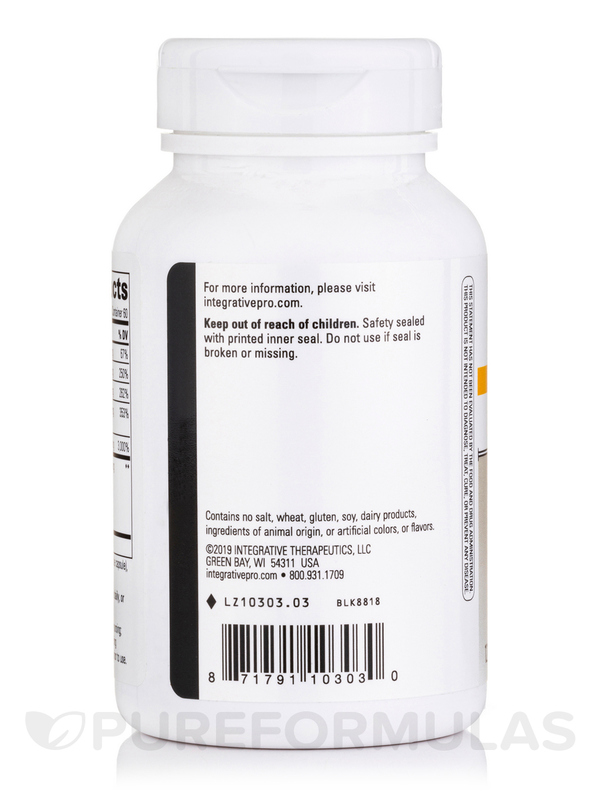 Take 2 capsules one to two times daily‚ or as recommended by your healthcare professional.